It’s seems perfectly obvious that my untraditional Thanksgiving celebration would have surf and turf. 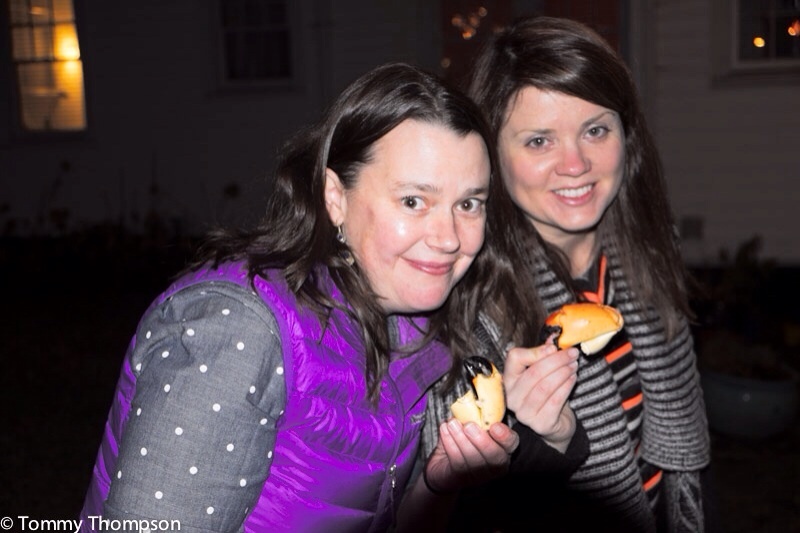 A freezing cold November night is the perfect time to share seafood by the firepit. Sharing stories and connections. After which, running inside to warm up with rare beef, turkey and fixings. Oh, and transitioning to red wine. 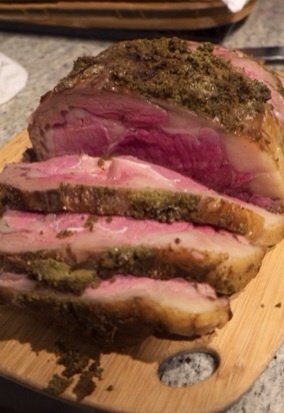 My family opted for a standing rib roast covered in tapenade from Bon Appetit this year. In the past, we’ve braised lamb shanks, fried whole cornish game hens and even baked entire red snapper in salt. It’s a tradition to play with tradition in the Thompson family. The rib roast would be perfect for a very tradition holiday dinner party, too. Check out the recipe here – we used the recipe more for inspiration and less for specifics.